The problem of free will and determinism has a long history in Western philosophy; it is also an important issue in contemporary metaphysics. While this problem has not been the focus of discussions in the commentarial tradition of Buddhist philosophy, it has recently attracted the attention of many Buddhist scholars, who have defended conflicting interpretations. As we know, causation is a central notion of Buddhist philosophy, particularly in the context of the doctrine of Dependent arising (paṭiccasamuppāda). It is very tempting to interpret this notion as entailing universal causal determinism, as many scholars have done. This interpretation, however, raises a serious problem with respect to a passage of the Aṅguttara Nikāya (A. I. 173-175), where the Buddha rejects as “wrong views” three so-called “sectarian views”. I argue that a good reason to reject these “sectarian views” is also a reason to reject universal causal determinism. This suggests that causation in Early Buddhism does not entail universal causal determinism and that it leaves room for indeterminist causation and a form of free will. “The Three Nature (trisvabhāva) Theory in the Yogācāra Texts of the Five Maitreya Works”. 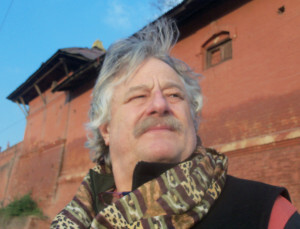 Prof. Dr. Klaus-Dieter Mathes (Institut für Südasien-, Tibet- und Buddhismuskunde, Universität Wien). “Legality, ideologies and identitarian dynamics in the contemporary re-establishment of the Theravāda bhikkhunī-saṅgha”. Bhikkhunī Dhammadinnā (Āgama Research Group, Department of Buddhist Studies, Dharma Drum Institute of Liberal Arts). Prof. Johannes Bronkhorst (Université de Lausanne). This lecture isn’t being given by the OCBS, but we had a lot of interest in Dr. Formigatti’s lecture course last year, so are posting this here for interested parties. The Mahāvaṃsa (written in Pali) presents itself as a chronicle recounting the origins of Buddhism and its import to Lanka, where it became the State religion. Examined in detail, the chronicle shows surprisingly pervasive similarities to the great Sanskrit epic. A selection of such similarities, drawn from the respective introductions, will be presented, and possible explanations will be considered. In his Buddhist India (1903), T. W. Rhys Davids described ancient India from the Buddhist rather than Brahminic perspective. But he was aware that such an approach would regarded by some as a form of lèse majesté: ‘the brahmin view … has been regarded so long with reverence among us that it seems almost an impertinence now, to put forward the other’. This lecture will review Rhys Davids’ thesis in the light of recent work by Giovanni Verardi and Johannes Bronkhorst; by drawing on these works and barely noticed material from the Pali canon, it will re-evaluate the relationship between Buddhism and Brahminism in classical India. Philosophy and Philology in Edo Commentaries on Dōgen’s Shōbōgenzō: Construction and Deconstruction of the 95-Fascicle Honzan Edition. The Ox-Bezoars Empowerment for Safe Childbirth in Heian Japan. Buddhism makes a reasonable claim to be the first world religion to emphasise human equality, including equality between the genders. But certain well known features of the Buddhist religion seem incompatible with this claim. Perhaps the most important of these are the tradition that the Buddha was reluctant to agree to the foundation of an Order of Nuns, and that when he finally agreed he said that it would mean that Buddhism would die out within this world in 500 years. Besides, Theravada Buddhism has for about a thousand years stopped ordaining nuns, a move backed by both religious and secular authorities. Ven. Analayo, a German Theravada monk, published a book last year proving that these positions do not go back to the Buddha himself, but reflect misogynistic changes in the tradition and its texts. His discoveries deserve to be known and acted upon wherever Buddhism is found today. This lecture will simply summarise Analayo’s findings, which I believe to be momentous and convincing. Although some passages of late tantric Buddhist literature (ca. 700 to 1200 CE) display a certain reticence towards royal courts, there is some evidence to suggest that a handful of tantric Buddhist masters did became kings’ chaplains. I will examine this corpus, consisting mostly of inscriptions and exegetical passages, trying to draw out as much information as possible about these masters’ perceived roles, standing, influence, and possible problems they may have encountered when trying to harmonise antinomian teachings and social morality. “The Indian Yogācāra Scholar Sthiramati and his Proofs of the Validity of the Mahāyāna”. “Reviving a Text and Questioning a Tradition: Yinshun (1906-2005) and New Studies of Da zhidu lun in Twentieth-century China and Taiwan”. A talk given by Gakar Rinpoche. Rinpoche will discuss his Buddhist heritage in Dolpo, and will present his experience of the wider Buddhist scene in and around Nepal in the light of his training at Shechen Monastery. He will reflect on the changes that Nepal has been undergoing, and Nepali Buddhism with it, then he will invite the audience to offer academic perspectives on what he has said and on that basis to enquire further. Surveys the history of Buddhist philosophy, introduces the core philosophical tenets shared across traditions, and provides a rationale for studying Buddhist philosophy as philosophy. Addresses the metaphysical underpinnings of the Buddhist worldview. (Note different time: 10-11am). Explores Buddhist anti-foundationalist ontologies of emptiness. Draws on the Buddha’s arguments for the ultimate non-existence of a substantial self to explicate the conventional operation of personal action. Addresses the nature of knowledge and examines the validity of perception and inference as means of its acquisition. Addresses cognition and self-cognition in the light of idealist and phenomenological accounts of mind. Focuses on Buddhist formulations of non-classical logics and the linguistic expression of concepts. Addresses normative ethics and their application to contemporary social issues. Portraiture in the Light of Symmetry: Revisiting the Sculptures of the Path with the Fruit Teaching Lineage at Mindroling Monastery, Tibet. The OCBS will be hosting this joint Symposium on 6th and 7th April. On the 6th, six papers will be delivered, exploring various ways that Buddhism interacts with the modern world. The 7th April will see a discussion of the areas explored. All are welcome. If you wish to attend then please inform steven.egan@ocbs.org ahead of time, as space is limited. Who can infer the existence of God from the concept of ‘product’? Genealogy of a Buddhist refutation. In his Īśvarasādhanadūṣaṇam, Ratnakīrti (11th c.) attacks the thesis according to which God exists as the creator of the world. Ratnakīrti’s multi-layered refutation is a witness of the history of debate in classical India, because it displays changes of focus and of technical terminology, which are indicators of the fact that specific philosophical problems were overcome thanks to the development of new theories concerning the art of debating. This lecture aims at showing the impact of these philosophical transitions on the main argumentation over God, especially in relation to the conception of probative inferential evidence. There are currently around 14,000 Sri Lankan expatriates in Oman, at least half of which settled in Muscat, the Sultanate’s capitol. Most of them follow Theravāda Buddhism. Only little research has been done on the modern phenomenon of Asian migrant workers in the Gulf, and nearly exclusively from a social or legal perspective. In this lecture, the focus is on Theravāda Buddhism as constituted in the Sultanate of Oman, namely in the community of the Sri Lankan expatriates. It would appear that this community has not been studied in such a way before. Mr Wrona will present parts of the results of his ethnographic research in the Sri Lankan community in Muscat, carried out from September 2015 to December 2015. He will try to explain the major aspects of the situation the Sri Lankan community in Oman finds itself in and investigate how the Theravāda Buddhists within this community experience and develop their religious identity, being a religious and ethnic minority in an Arab-muslim majority country. It will thereby become clear that this process of religious identity building can at least partly be understood as a result of mechanisms of transnationalism. Unfortunately, Prof. Nicoletta Celli’s lecture (“The Dawn of Buddhist Art in China: Reflections on the Image of the Buddha in Meditation”), originally scheduled for Monday May 16th, has been cancelled. In 13th century Tibet, it was said that “half the world is Drukpa, and half the Drukpa are mendicant hermits”. In the 17th century, as Tibet was being reshaped by civil wars and Mongol invasions, Himalayan rulers still eagerly sought out Drukpa yogis. This lecture will introduce the religious characteristics and social influence of that yogic tradition, and will outline its contemporary importance in Ladakh and in Bhutan, where it is still the ‘state religion’. Organizing Charity in China: the work of Tzu Chi in the People’s Republic. “Monk and Lay in the Mahāyāna Sūtras”. The ur-text of the Pali Tipiṭaka: some reflections based on new research into the manuscript tradition. Wat Dhammakaya in Thailand are preparing a critical edition of the Pali Canon, and Dr Wynne has been playing a leading role in their work. He will explain the importance and difficulties of the project, and suggest what benefits it may produce. Some Korean-Japanese have established their own Buddhist temples for the performance of ancestral rituals. This will be discussed from the point of view of the sociology of religion. “Writing on Mountains to Save the World”. “Buddhist Texts and Buddhist Images. New Evidence from Kanaganahalli”. There will be two lectures this Trinity Term for the OCBS Lecture Series in the Dorfman Centre, St. Peter’s College. There will be three lectures this Hilary term for the OCBS Lecture Seriesin the Dorfman Centre, St. Peter’s College. We are also pleased to invite you to the Lingyin Lectures in Buddhist Studies held in The Oriental Institute, Pusey Lane, Lecture Room no. 1. We are very pleased to announce that Oxford University is offering a MPhil in Buddhist Studies in 2015-16. This newly launched two-year degree aims to give comprehensive training in one of the main Buddhist canonical languages, namely Sanskrit, Classical Tibetan and Classical Chinese. In-depth explorations of Buddhist history, philosophy, and literature will be the focus, along with a comprehensive study of important Buddhist texts in the original language.